The Spirit of the Lord God is upon me, because the Lord has anointed me to bring good news to the poor; He has sent me to bind up the brokenhearted, to proclaim liberty to the captives, and the opening of the prison to those who are bound, to proclaim the year of the Lord's favor, and the day of vengeance of our God; to comfort all who mourn; to grant to those who mourn in Zion--to give them a beautiful headdress instead of ashes, the oil of gladness instead of mourning, the garment of praise instead of a faint spirit; that they may be called oaks of righteousness, the planting of the Lord, that He may be glorified. They shall build up the ancient ruins; they shall raise up the former devastations; they shall repair the ruined cities, the devastations of many generations. When I decided to become a teacher, I knew that I wanted to affect change in children's lives for years to come. Growing up, I greatly admired a number of my teachers and was so changed by their presence. I loved school, a nerd to the core, I wanted to do my best and please them. Books were some of my greatest friends (and still are), and on my third grade timeline project, I decided that I wanted to be a mom, a teacher, and an actress. Since teaching is pretty much a big show a lot like acting, I'd say two out of three by age 26 isn't half bad. In the last eleven years, I have had the privilege of working with various demographics in myriad settings- camp, preschool, Mother's Morning Out, Sunday school, private and public elementary schools. The Lord always places the exact kids in my care that I need to get to know for the time we have together. While I have worked with some challenging children and some wonderful little angels, I have loved the experiences the Lord has given me through the years. One of my biggest challenges was as the Broadacres Children's Ministry Coordinator during my sophomore and junior years at UGA. 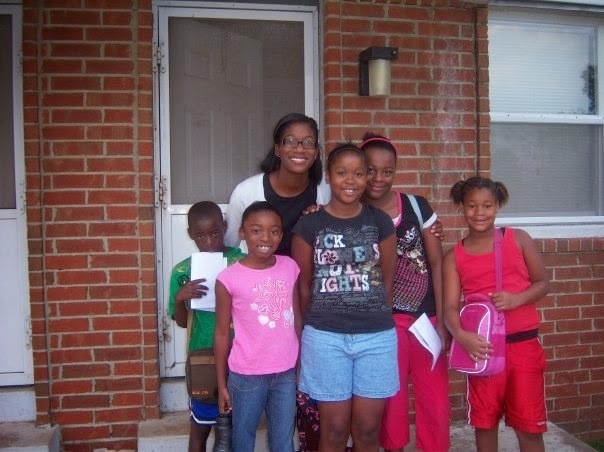 Each Tuesday afternoon, a group of college students headed to the Broadacres government housing neighborhood here in Athens to love on some kids who just needed a friend. These kids were unlike any with whom I had worked with before. Their home lives were the polar opposite of my privileged East Cobb suburban upbringing. But I loved them. Oh, how I loved them. And when I left Athens in 2010, I knew I would miss them deeply. 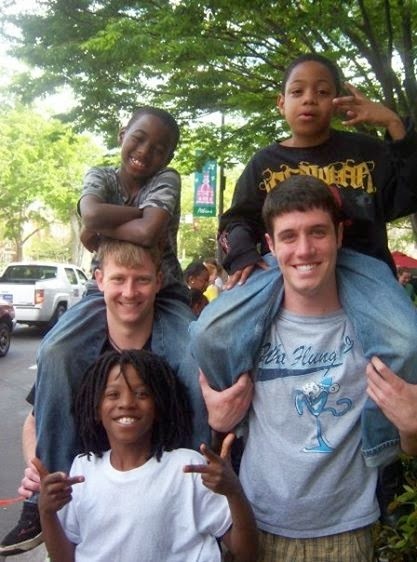 Goofing off at Broadacres around 2009. Fast forward to spring of 2012. I received a job offer from Timothy Road Elementary while finishing my time in Chihuahua, Mexico at Colegio Binimea. I was simultaneously thrilled and terrified. I student taught at Timothy Road and thought I pretty well understood the demands placed on a classroom teacher. That thought was corrected on day one. In fact, it was probably corrected in pre-planning. I was in way over my head and knew that the only way my kids were going to learn anything was by the power of God Himself. 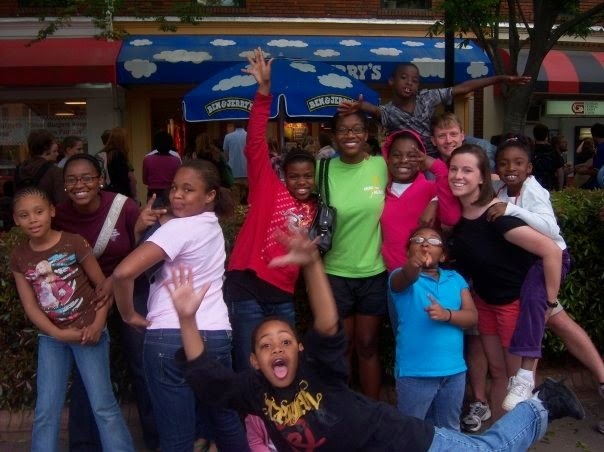 Kiddos ready for Winshape Camps for Communities, summer 2009. 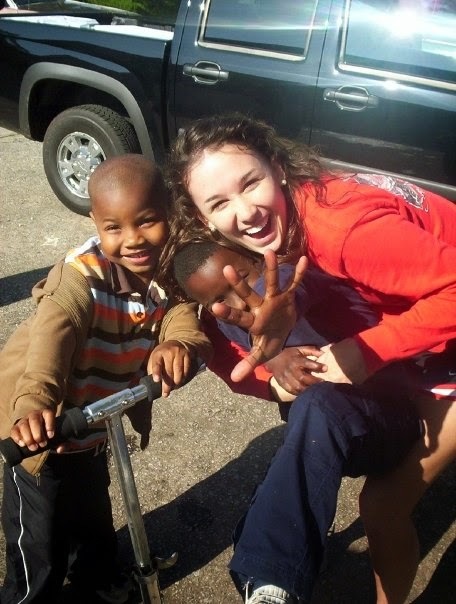 Since my time with the kids at Broadacres, my heart has always been for the inner city kiddos. Those who need someone to invest in them and tell them that their story can be different. The kids who need people standing beside them and cheering them on in every day matters. They need people who show and stay. Just a few weeks ago, I saw one of our girls in Kroger, and she told me that she was going to college in the fall at Kennesaw State University. To say that I am proud would be an understatement. The graduation rate for Athens, while improving, still leaves much to be desired. Business as usual with these kiddos. So, my friends, imagine my excitement when the Lord drops a private Christian school for inner city kiddos in downtown Athens. Excitement doesn't even scratch the surface. Downtown Ministries is a well established ministry in Athens that decided to take it up a notch by starting a school. Because why not? Why not go the extra mile and transform a community for the Kingdom? Why. not? I am so honored and grateful to be able to say that I am now a part of the Downtown Ministries family. This year, I will be teaching second grade at Downtown Academy. It is an immense honor and joy to be a part of what God does. I count it a privilege and cannot wait to share stories of His indelible grace through it all. It's all about Him anyways.